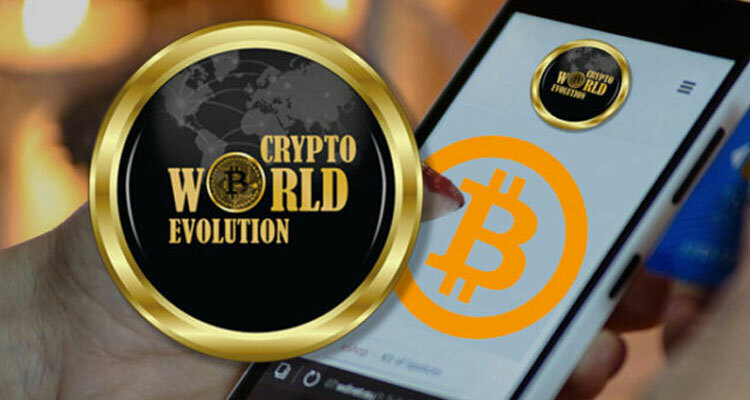 You are here because you might be a little curious as to what CWE (pronounced ‘see-wee), that is Crypto World Evolution. The acronym “CWE” stands for Crypto World Evolution. In a nutshell, CWE is an intelligent Trading BOT software that does all of your crypto-trades for you. It monitors the crypto-market place 24/7 and it knows when to get in and trade and when to get out. You do not have to. You link your Binance and/or Bittrex Exchange accounts to the CWE platform, select your currencies you want to trade and the BOT immediately gets to work. Let’s say that you set your CWE BOT or BOTs (you can have more than one) to trade 15 cryptocurrencies. When the BOT has made a gain on each currency on the Binance and/or Bittrex Exchanges, it is converted into Bitcoin. That Bitcoin is added to your BitCoin balance on the Exchanges. The BOT continues trading and when a gain is realized, it sells and you see the Bitcoin added to your Exchange balance. The coins you input into your BOTs continue to trade until you remove them and add others. The BOTs NEVER sell on a negative. They always sell when you are able to make a profit. It is automatic rinse and repeats 24/7! CWE does not trade any of the currencies you already own in your Exchange accounts. The beauty of this system is that YOU are in control of your money! How so? Because NO MONEY is given to CWE for trading. The funds are what YOU have on your Binance and/or Bitrexx accounts. (So, that means that if CWE closed down tomorrow, your cryptocurrencies and holdings on the exchanges remain intact! CWE does not ask for nor does it have access to any of your Exchange accounts! How Much Does CWE Cost? Paquete Young ($500 Annually). This allows you to use the CWE platform to trade up to $2500 worth of cryptocurrency. (You can set up two trading BOTs assuming you fund them each with 0.1 BTC). This is for those who have a limited budget or who want to start off small to “test-the-waters.” You have 90 days to upgrade to the Pro Miner account. Note: The more Trading BOTs you have running simultaneously, the better. Is CWE a Lending Platform? No! No money is entrusted to CWE. Your money is whatever YOU have in your personal Exchange accounts on Binance and/or Bittrex. CWE is an automatic Trading platform that allows you to select any cryptocurrency (even the ones you do not own) and trade them for Bitcoin profit. Is It Possible To Accumulate Holdings In Particular Altcoins? While the CWE Trading BOT is not primarily designed to do that, it is possible to let it trade and accumulate particular Altcoins and you can move them into another Exchange account. (I do this). For example: Suppose you do not currently own any ZCash but would like to. All you have to do is add ZCash to your Trading BOT (You must add a minimum of 15 currencies per BOT you set up) and then you let the BOT do it for you. You log into your Binance account and you will see that you own ZCash! What you can do, is move your ZCash to another Binance account. Then on the next day, you see that you earned more ZCash. Move it to your other Binance account. Or, you can just let the BOT accumulate your ZCash and sell it for Bitcoin profit! You will find no affiliate or referral links associated with CWE. This is a good thing, too. Why? Because that is what got BitConnect and other programs in trouble (even though CWE is not a lending platform). The promotion of those platforms was completely overboard and over-the-top. CWE has very strict guidelines on promotion. If not adhered to, your account will be terminated. Meaning you will not have access to the Trading BOT. Your funds, obviously, remain intact on your exchange accounts. The creators of CWE are transparent and we see their faces each day and we know their names. Membership within CWE is by invitation only. I am inviting you. Signups are done manually. This what you do. Watch the videos BELOW to get an idea what it is all about and how it works.